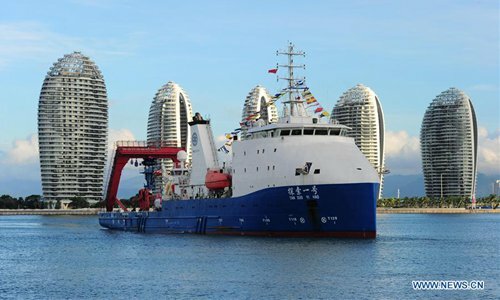 China's new manned submersible, on board the ship Tansuo-1, returned to port in Sanya, Hainan Province on Tuesday, after completing deep sea testing in the South China Sea. 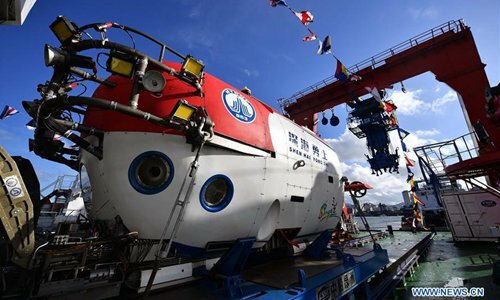 The manned submersible named Shenhai Yongshi, or deepsea warrior, reached a depth of 4,500 meters to test its functions and performance during an over 50-day expedition. 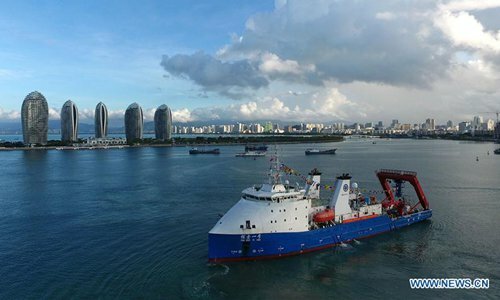 Bai Chunli, president of the Chinese Academy of Sciences, said in a congratulatory letter that the deep sea tests show the new manned submersible performed well and is another achievement for China in developing deep sea manned submersibles. 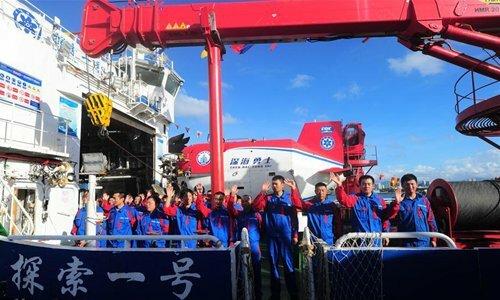 The development of the submersible took eight years and involved over 90 Chinese organizations and companies. All of its core components were domestically made. China's manned submersible Jiaolong completed its deepest dive reaching a point of 7,062 meters in the Mariana Trench in June 2012.